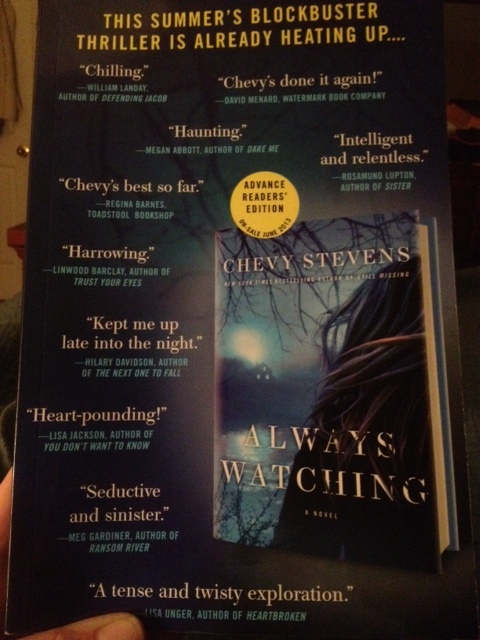 Last week I received an Advance Readers’ Edition of Always Watching by Chevy Stevens from St. Martin’s Press. This book is set to be released on June 18, 2013. 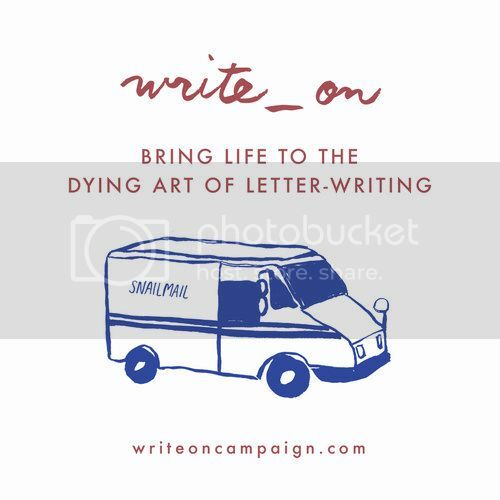 I forgot that I had entered for a chance at receiving an ARE of this book, so I was very confused when I found an envelope from St. Martin’s Press. I had no clue what it could be because all the books I had ordered recently were series and would have been in boxes (and they happened to arrive the same day). I opened the envelope, pulled out the mystery book, looked it over in confusion, then squealed like a little school girl when I realized what it was. I wanted to start reading it right away, but I had family down for Spring Break so I didn’t start it until Saturday night. I finished it late late last night (rather, super early this morning). I could NOT put this book down. Always Watching is the third book by Chevy Stevens. I have read her first two and was super excited to read her third. I had no idea what it would be about, but I still HAD to read it. Her first two books were told in the first person narrative to the narrator’s psychiatrist, Dr. Nadine Lavoie. I was expecting this book to be told the same way. However, she deviated from that writing style and told Dr. Lavoie’s story, instead. Dr. Nadine Lavoie moved from Nanaimo to Victoria, in British Columbia, after being attacked. She also hoped to find her daughter, last rumored to be living on the streets in Victoria. She is no longer in private practice but working at a hospital. When Heather arrives on the ward after a failed suicide attempt and mentions the center and Aaron Quinn, Nadine is suddenly awash with memories that had been long buried from her time spent at the commune when she was a child, back before it moved to the Victoria area. This book follows Nadine as she works to save her daughter, Heather, and even herself. Her long buried and somewhat forgotten past rushes into her present. Through many twists and turns, I found myself hoping that Nadine would have a happy ending and finally find answers to questions that had plagued her since her time at the commune. I could NOT put this book down. I read the first few chapters Saturday night. Sunday morning, I picked it back up and started reading again. I read the last words early early (like 1:30 am early) Monday morning. This book kept me thinking, kept me guessing, kept me turning the pages, and kept me on the edge of my seat the entire time. I highly recommend this book to anyone who likes to read suspense. Have you read any of Chevy Stevens’ other books? Are you looking forward to the release of Always Watching?